Description: Most of appealing oolong tea what tea connoisseurs appreaciate in all over the world! Orginated in south of Fujian province named after chinese goodess Guan Yin, this tea is really remarkable masterpiece of both - nature and human. Very long and painstaking work has applied before thick thirh and forth leaves picked from flush acquire unical form of small nugets. 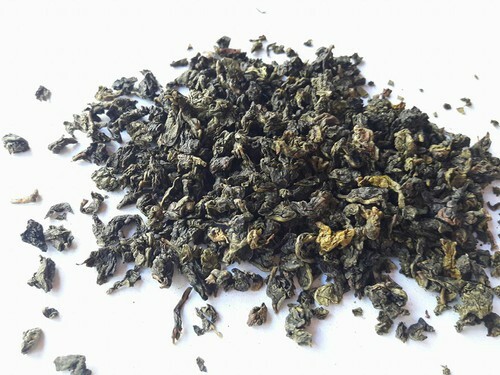 Taste: This green tea alike oolong produces very sweet and harmonos taste, which would suite to many paletes. Distinctive and fresh, like lilac after warm spring rain. Important points to brew Tie Guan Yin using Gong Fu Cha way of preparing tea. 1. Weight of tea – 7 g or three teaspoons on tea pot capacity 120ml. -	first brew – 20 sec. Not drinkable, prewashing leaves only. Chinese usually take about 7 g of Tie Guan Yin type tea to prepare in small 150 -200g tea pot. We can recommend you to follow this advice as you may enjoy make multiply qualitative infusions to bring out as much possible taste variations. Best way for brewing is to follow condictions of chinese tea cermony Kung Fu Cha. Recommendations: We would recommend you serve this tea with some salty or rosted seeeds and nuts. Avoid to drink this type of tea in late evenings, as after you may feel very „awake”.